Ok, we’ll admit it. We don’t always enjoy or want to do a high intensity interval training workout. Some days we are just straight up lazy. We are all allowed lazy days. However, if you want to do something on those lazy days we’ve got some suggestions for low impact workouts that still get the job done, when you don’t want to. Keep reading for additional information. 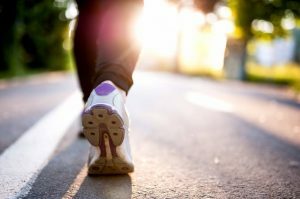 A 20 minute walk – Never underestimate the power of a brisk walk. Take it slow, listen to your favorite podcast, call your mom and just get it done! Yoga – This workout is so calming. Many classes focus on not just the health of your body but the health of your mind too. This is great to try if you are feeling stressed at work. The poses you do stretch your muscles while also challenging them to hold your body in place. Rowing – This exercise works your arms, back, core and legs, but you’re not putting too much pressure on your knees or ankles. A swim – no you do not need to be a professional to do this! The basic breast stroke will do just fine. Or you can actually run or do high intensity intervals in the water. Just find a floatie to put around your waist and you’re good to go! The water is refreshing but also challenging because it pushes back. Plus you don’t have the impact on your joints you would get from running. A bike ride – you can do this inside or outside. This also protects you from impact on your joints. It can also be a lot of fun in a group class or relaxing when you are outside with the breeze on your face. And if you’re doing this outside you can also knock out some errands while you’re at it. Ride your bike to the farmers market or the hardware store. Make sure you have a lock for your bike though! Need more suggestions on how to mix up your workout? Swing by Zip Fitness and talk to our personal trainers for some ideas. We have a variety of gym locations in the Chicago, IL area. All locations have weights, cardio equipment, tanning beds and so much more! We hope to see you soon.